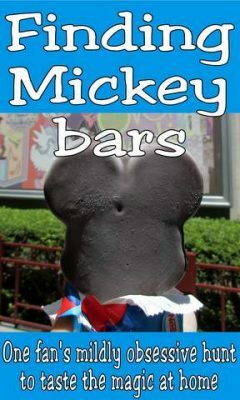 When I first heard about supermarkets selling Mickey-ear ice cream bars, I bounced for joy. Since I don’t have a Disney trip planned for awhile, I thought it was the perfect balm for my Disney depression. 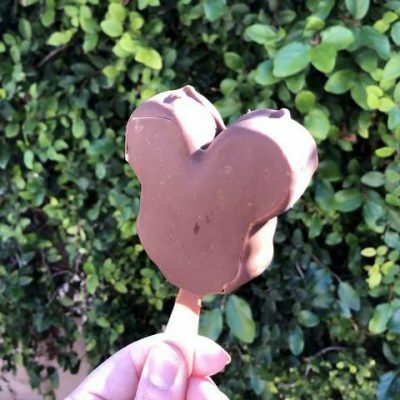 As blogs and social media started reporting Mickey-bar sightings, I decided to hunt some down. My journey to finding Mickey bars has it all — drama, hope, rejection, redemption … and just maybe a happy ending? 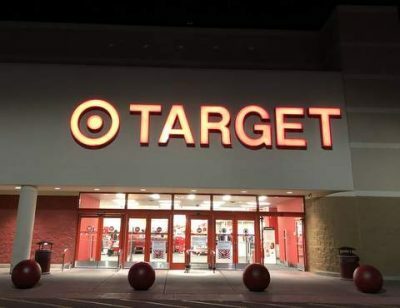 I had heard Target was one place fans had found Mickey ice cream bars, so I choose a Target near some of my other errands and set out into the Arizona night. The rest of the country is experiencing an arctic blast, so I am appreciative that even considering eating ice cream sounds like a good idea! Target is a complete letdown. 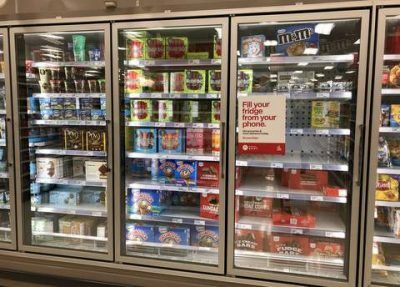 I knew the freezer section wasn’t enormous, but even their few units aren’t well stocked. I scrutinize every shelf tag for evidence that Mickey bars have been there, but no joy. 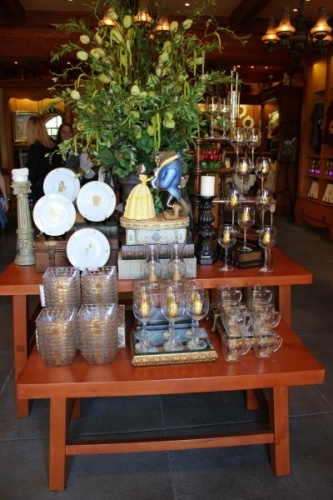 The store does have other 90th-anniversary Mickey products, but I leave empty-handed. The other retailer that kept popping up in others’ Mickey bar hunts was Kroger. With a Kroger-chain Fry’s just down the street from Target, I head back into the night. My first sign that the product exists locally! While the shelf was cleared out, I now have hard evidence that Fry’s stocked the elusive ice cream bars. I feel like I have a good chance to find and take some home. So I start mapping out other area grocers. 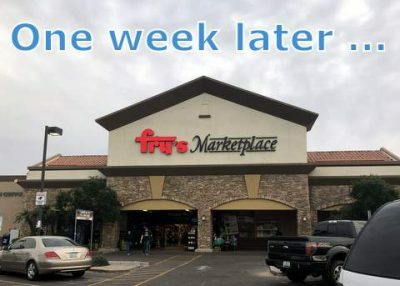 It’s a good thing the Phoenix area has a lot of grocery competition. 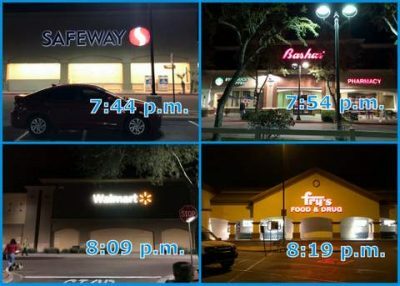 I drive around our suburb hitting every freezer section that evening. What’s 20 extra miles when I drive 400 miles to Disneyland? 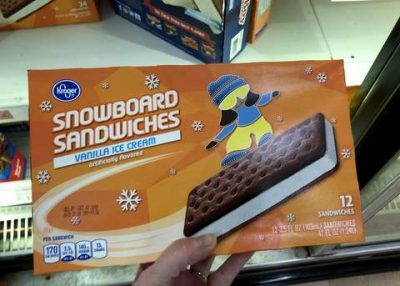 Along the way I am tempted by sale-priced Magnum bars at Safeway and Walmart’s individual ice cream sandwiches like they sell at the parks. But I resist and keep looking. But now it’s getting late and I am very hungry from looking at so much ice cream. After again finding only an empty tagged shelf at the Fry’s nearest my home, I settle for store-brand ice cream sandwiches to quiet the growing rumbly in my tumbly. At home that night licking my wounds (and an ice cream sandwich), I come up with a plan to hit more stores the next morning. 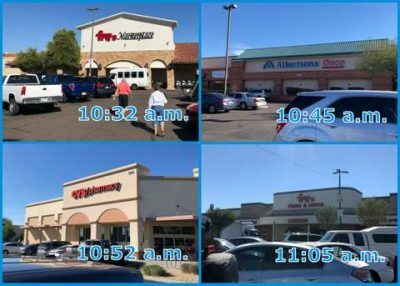 There’s one more local grocer and two drugstore chains. 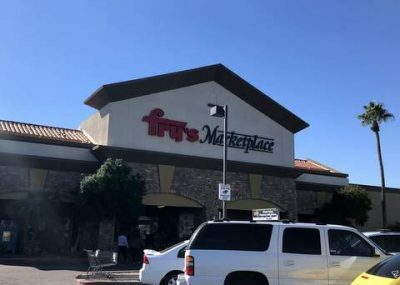 With Fry’s the only place I’ve even come close to finding Mickey bars, I sketch out how to hit three of them in my loop. The next morning is clear and beautiful, perfect ice cream weather. After a few errands, I drop into a large-format Fry’s I don’t visit often. In the parking lot, I recall why, as every retiree in the city is shopping there as well. No patience, and no Mickey. The Albertsons is well-stocked but no evidence they have ever had Mickey bars. Across the street at the CVS pharmacy, their freezer is so small that I ditch plans to try Walgreens. I hit another Fry’s only to find the same mocking shelf tags with no Mickey bars in stock. 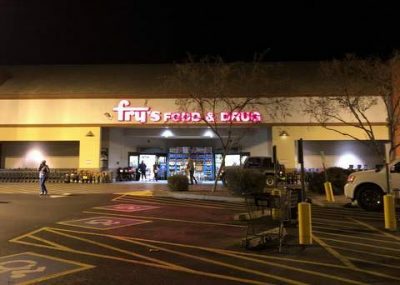 My final stop is another large-format Fry’s almost back around to my house. There are shelf tags labeled for Mickey here too, but no ice cream bars. All the other Disney fans must have eaten them. I finally give up my goal of finding Mickey bars and grudgingly grab some groceries. Fireworks. Swelling music. There may have been a victory dance. 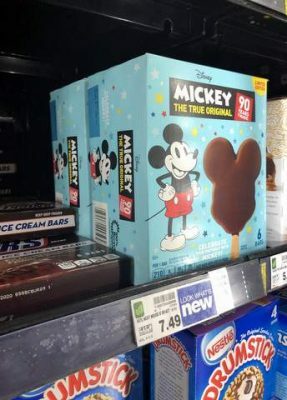 Some time in the past week, this Fry’s restocked and now has two boxes of Mickey Mouse ice cream bars! I bet you can guess what happened next. The Mickey bars came home with me and lodged in my freezer, at least until I could start eating them. They are a little smaller than the park ice cream bars, but only about one-fourth of the cost. I don’t think my freezer is capable of getting them as solidly frozen as the rock-hard Disneyland Mickey bars, but that’s acceptable to me. They taste like chocolate, vanilla, and magic. I ran around town fruitlessly for two days in my attempt at finding Mickey bars. I was finally belatedly rewarded when I was doing a most Disney-like thing — caring for someone else. And so the Mickey bars and I lived happily, deliciously, after. 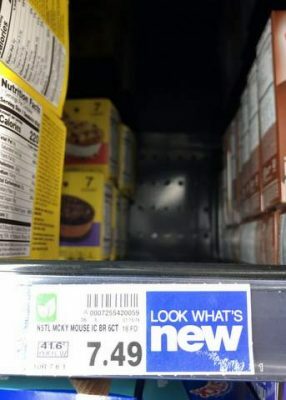 How has your hunt of finding Mickey bars in your local grocery stores gone? Share your stories of triumph or defeat with us in the comments, or on Facebook or Twitter! 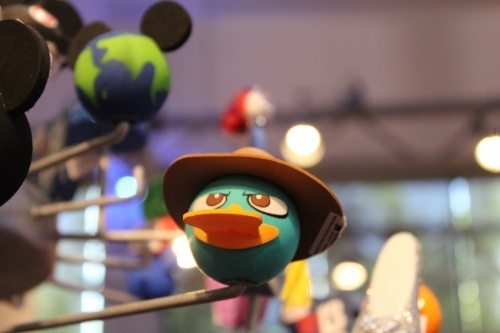 Want to visit a Disney Destination? Contact The Magic for Less Travel for more information and a free, no-obligation quote. A Little Post-Trip Disney Flair! I am a lifelong Disney lover who will never quite grow up. I love fireworks, roller coasters, and special Disney treats. My four children and husband have been brainwashed into a love of Disney by regular visits to Disney parks and a home life filled with Disney movies and characters. I love travel, writing, and reading.